Whatever your industry or color experience, this course gives you tools and confidence for success. 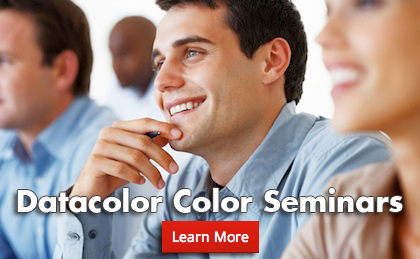 Datacolor’s practical introduction to color science and technology combines color theory with real-world application to give attendees a reliable foundation of winning strategies to manage color processes. Want to explore the art and science of color step by step? This course will give you the key tools and insights for success in managing color. Learn the simple ideas behind the language of color technology. Gain the skills to make effective color decisions easily and communicate them efficiently. See how to avoid common color mistakes and take home techniques you can put to work immediately – to start getting the color results you want.